"Big Bang Theory" star announced split online saying that the couple's two sons remain their priority. 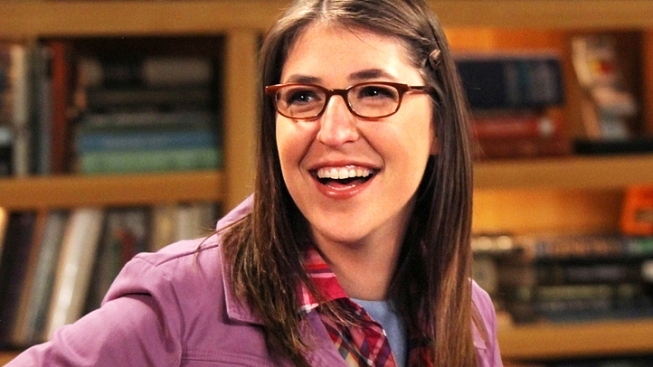 Mayim Bialik in "The Big Bang Theory." The actress announced she is separating from her husband of nine years. Mayim Bialik is splitting from her husband of nine years. The 36-year-old actress says in a statement posted on her kveller.com parenting blog Wednesday that she and husband Michael Stone have decided to divorce. The couple has two young sons. Bialik recently released a book about attachment parenting, but says the philosophy that encourages forming close bonds with near-constant physical contact played no role in the couple's split. The Emmy-nominated star of CBS' "The Big Bang Theory" says "relationships are complicated no matter what style of parenting you choose." She says divorce is "terribly sad, painful and incomprehensible" for children and adds that the couple's sons remain their priority. Bialik first gained fame as the star of the 1990s sitcom "Blossom." She holds a doctoral degree in neuroscience from UCLA, specializing in obsessive-compulsive disorder in adolescents.